The End in a Glass - Fall -- The moment everything died from fall damage. 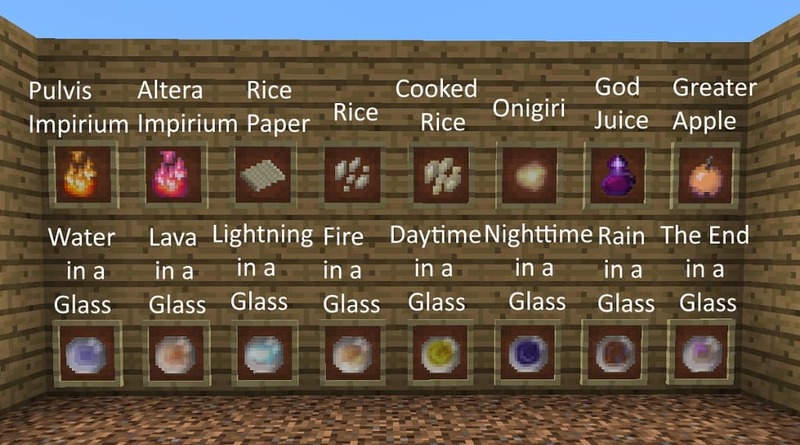 Adiecta Materia mod 1.12.2/1.7.10 for minecraft is a small mod that revolves around the idea of Catalytic Dust. Catalytic Dust can be made by smelting flint in a furnace and has two levels; the first level is used for crafting recipes, the second level is used for world interaction crafting and “* in a Glass” items. This mod was originally just a private patchwork to a modpack to make getting certain items easier / different. With Catalytic dust you can craft almost allbaseitems (e.g. string, redstone, glowstone, coal, spider eye etc.). It is recommended to have JEI / NEI installed because the crafting relies on a lot of combination style dynamics. 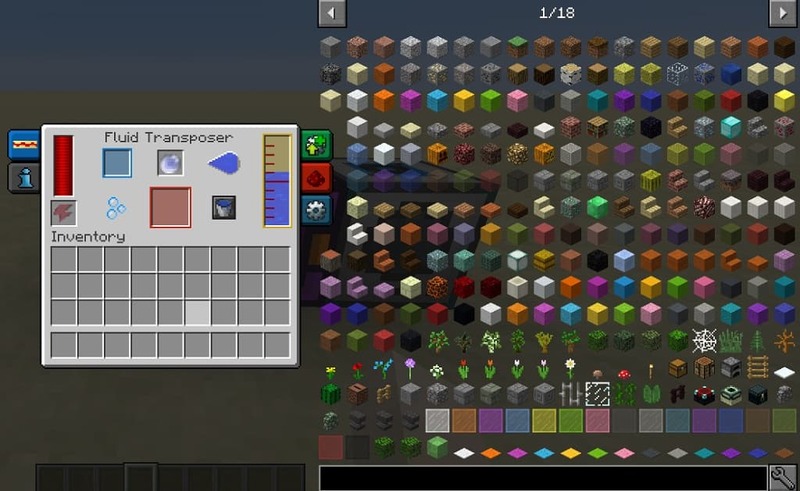 This mod also adds some crafting recipes that were/are either broken or too difficult for the following mods: Applied Energistics 2, Tinker’s Construct, Compact Machines 2/3, Thaumcraft 4/5/6, Thermal Foundation, Avaritia and JJ Meteor. An basic example of what this mod does would be the extra recipe for the AE2 circuit; a redstone, a material (depending on circuit), and a certus quartz. It just adds a way to get most things without the need venture out too far – you can craft most things in a recursive style way. I was not going to release this mod but friends would rather download it from a reliable place like this than from the link I gave them so here we are. – For Minecraft 1.7.10 Baubles is required as a dependency. – For Minecraft 1.12.2 Baubles is NOT required but is strongly recommended as the Trinkets will be useless unless it is installed. – Minimum forge versions for MC 1.7.10 and 1.12.2 areforge-1.7.10-10.13.4.16.14andforge 1.12.2-14.23.5.2768respectively. – Again, even though Baubles is not listed as a dependency anymore it is still necessary for some aspects of the mod to work. – Again, please use JEI / NEI for recipes, there are too many to list here. To get the guide book right click a bookshelf with Catalytic Dust (Altera Impirium). The Guide book shows a list of EE2 style transmutations that can be done by right clicking with Catalytic Dust (Altera Impirium) on a block. For example, when right clicking on some wool, you can change its colour and cycle through all the variants. This interaction is given the name World Crafting. Trinkets — The Baubles dependant Trinkets Items added by this mod. Items — Items added by this mod. Lightning in a Glass — Shoots lightning at every mob in a 32 block radius. Water in a Jar — This gives infinite water and acts like a bucket, here we see the interaction between it and Thermal Foundations Transposer.